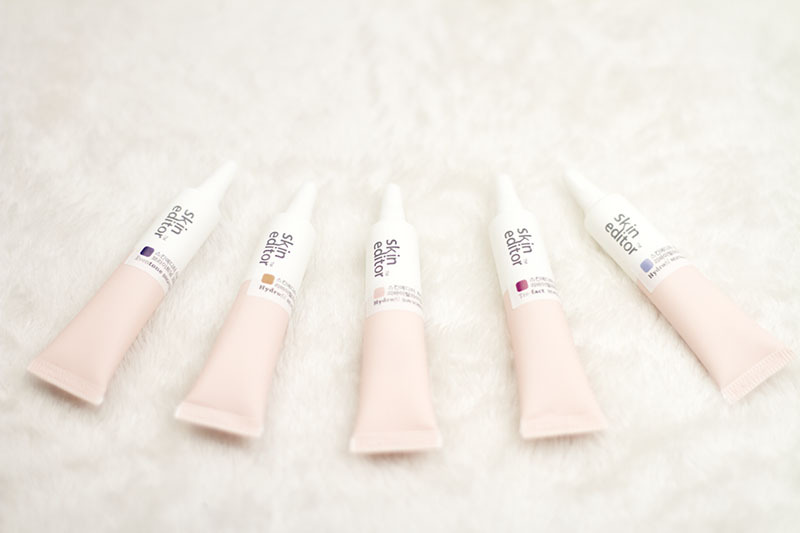 Review: Skin Editor – Oh My Stellar! I’m finally here to tell everyone about Skin Editor! I’ve been sitting on this review for a while because I took my time really testing out all of these products – and they have been doing me well. 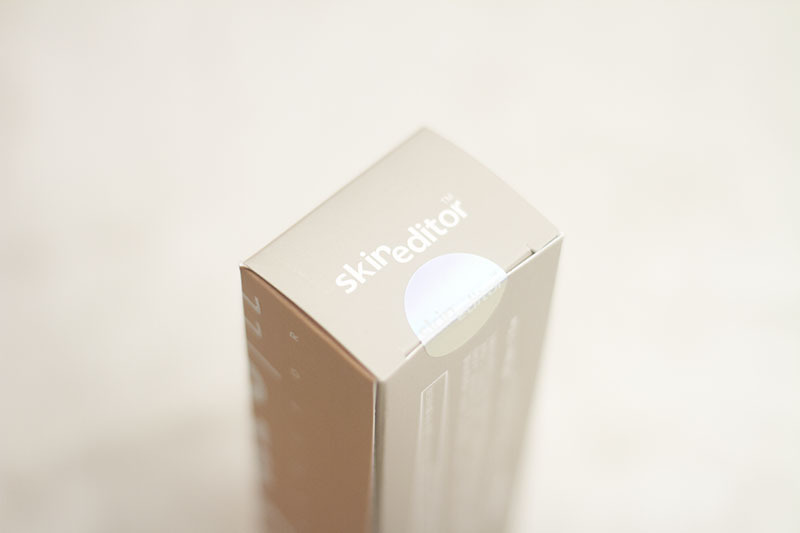 Skin Editor is a fairly new brand, sitting as a home care brand under Tremix, founded by the company Morvanic. Their products (for Tremix) are usually only supplied to dermatologists and skin clinics for post procedural aid, so their focus is on the quality of the product rather than marketability. Unlike in South Korea where it is fairly common to see dermatologists or skin specialists for up keeping and maintenance, I find that this is much less common in Australia. In fact, the only time I have ever spoken to a dermatologist was when I was younger and broke out in full body rashes from an allergic reaction. Our lifestyle seems to state that specialists, and therefore special treatments, are to be considered when the problem as arisen – that is, you want to fix something that has already happened. 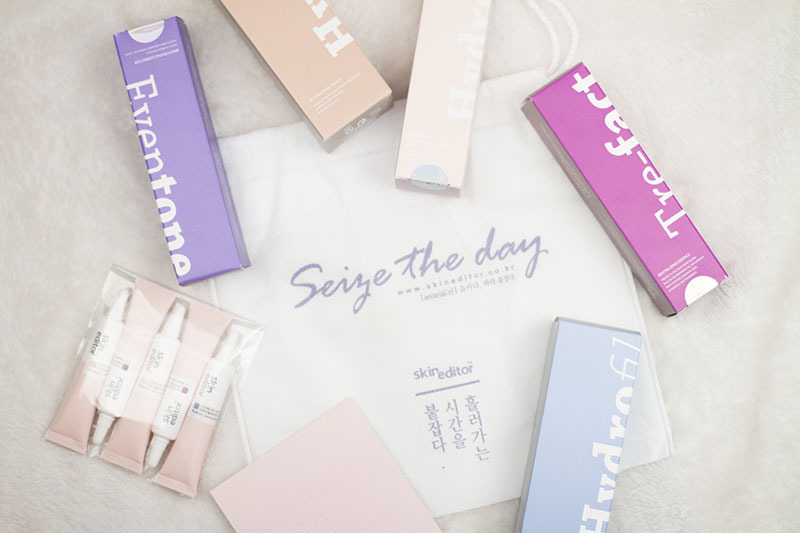 For a lifestyle like that, I think Skin Editor‘s products would be perfect (and is the reason I approached them to begin with – aside from the fact that I really love their bold coloured branding). 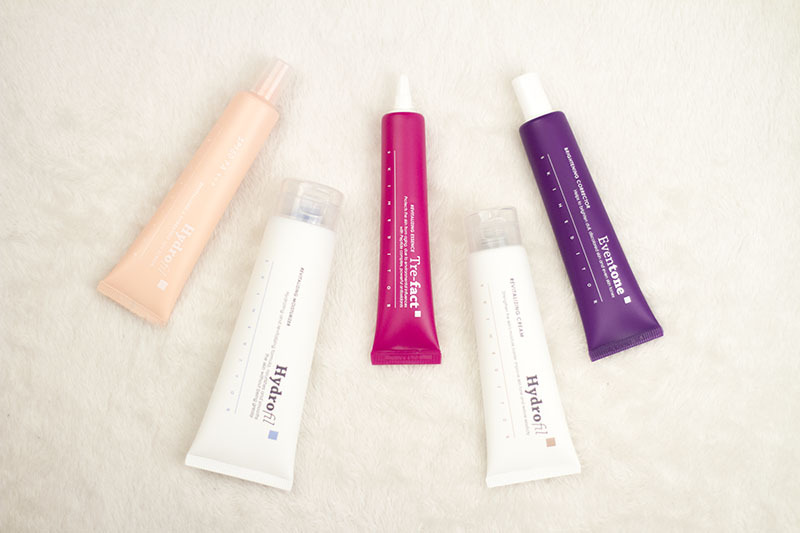 They promise effective and nourishing products that are safe for sensitive skin and daily use. If you’d like to check them out, click the banner below but – otherwise – let’s go! After talking with their manager, I wasn’t sure what they were going to send me. Turns out they have sent me a bottle of their entire line along with the (really cute) sample tubes which will be following me when I go overseas. Everything was really well packaged and tightly sealed. Tearing off the Skin Editor sticker on the boxes actually tore the board a little which… was a little disappointing since I like to keep packaging, but at least you know they haven’t been touched. 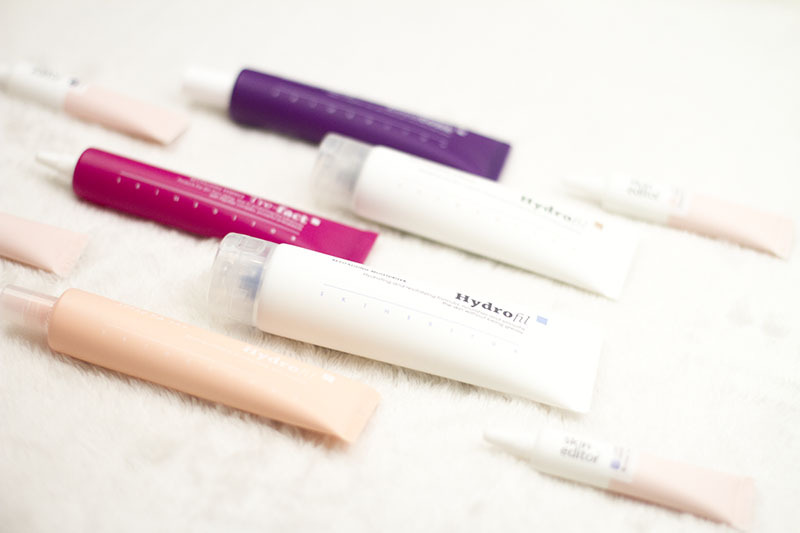 These little sample tubes are so cute! They had sent me a tube for every product in their collection which is going to be handy for when I go overseas. Where and when? You’ll have to wait for my announcement, of course! Every time I use their products, I only use a small amount and am able to apply it over my entire face. It’s not that their products are watery (in fact, they are the only cream based moisturiser that I use) – far from it – but they are very potent. 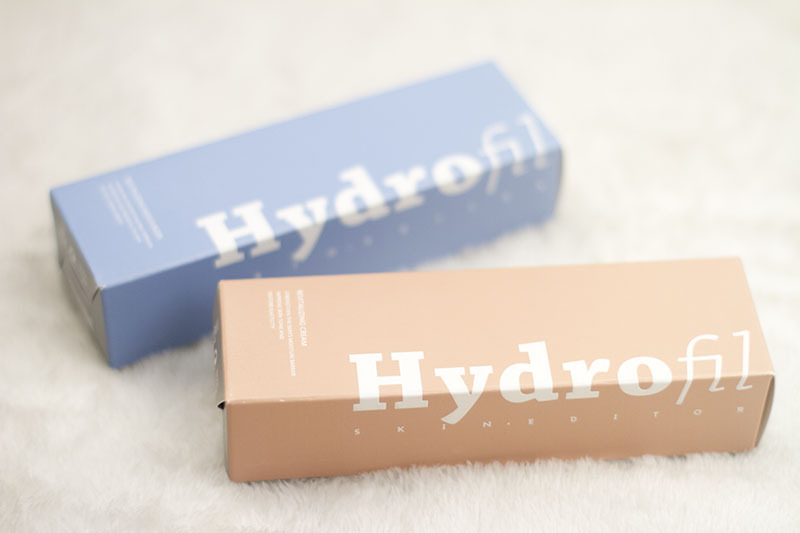 The first products that I’ll talk about is their Hydrofil Revitalizing Moisturiser and Cream. 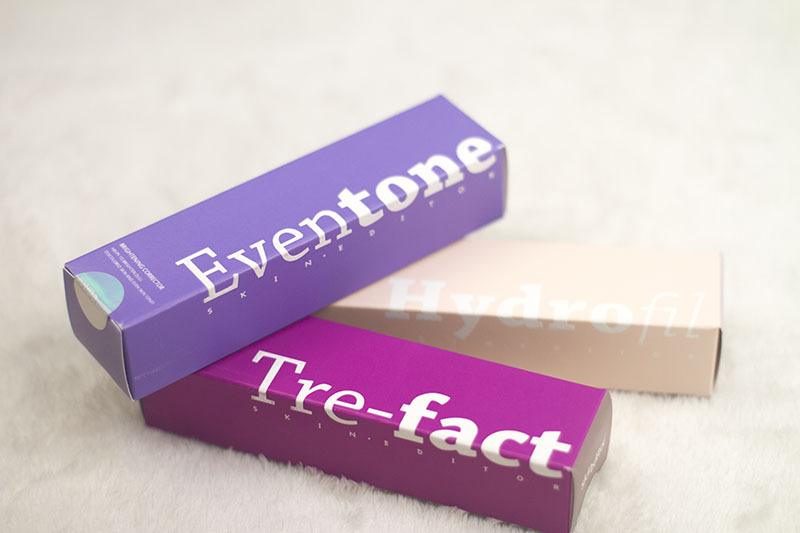 These two are easily my favourite products because they’re not joking about the hydrating promise. Before using Skin Editor products, I was having a lot of issues with dry skin around my T-Zone area because of the weather. None of my usual products as hydrating my skin enough, probably because they are all gel based. The main reason I stick to these even in Winter though is because my skin often breaks out from heavier cream formulas. Many of them tend to sit on top of my skin and clog up my pores. They also give me a very greasy finish, meaning they make my make up look horrible. Not this one though. Oh no. 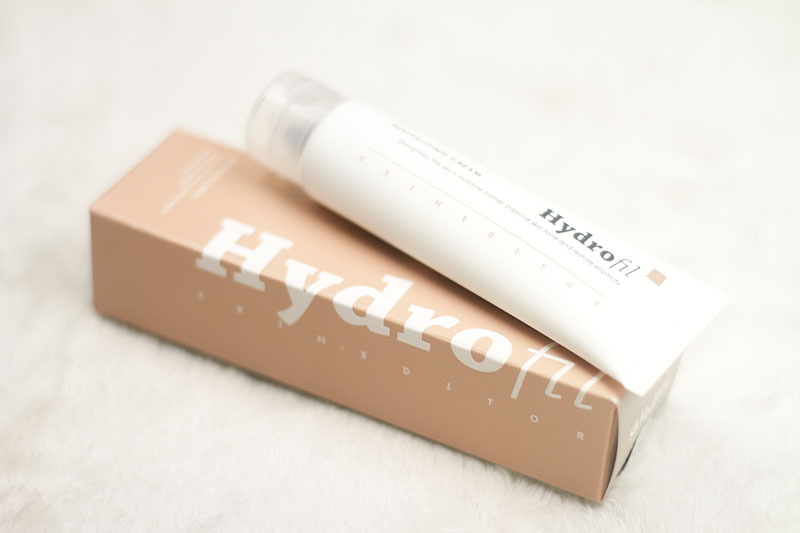 This is the Hydrofil Revitalizing Cream which is recommended for use as a night cream though, in clinic, is often used during treatments like Thermage or Affirm. It is multi functional and aids with hydration, anti-oxidising, brightening and anti-wrinkle. For this one, I use it as the last step in my skin care routine because it seems to be the heaviest formula. Here are some of the ingredients in the product, as provided to me by Skin Editor. This above bottle is the Hydrofil Revitalising Moisturiser which, being the biggest bottle at 80mL, I assumed meant I would use the most. I use this at night as well as in the morning underneath my make up. Only a small amount is needed to cover your entire face (especially important if it’s in the morning) and the cream based formula does not leave your face greasy! It gives you a hydrated, dewy glow though which is great if that’s the look you’re going for. This moisturiser is created in order to hydrate without being sticky or clogging pores, especially important for people with oily or acne prone skin – many people avoid moisturisers because of that heavy feeling and, unfortunately, that only makes skin drier and more prone to oil secretion. These can in turn also cause acne. Moving on, these are the three more colourful tubes that tend to get the most attention on their website. 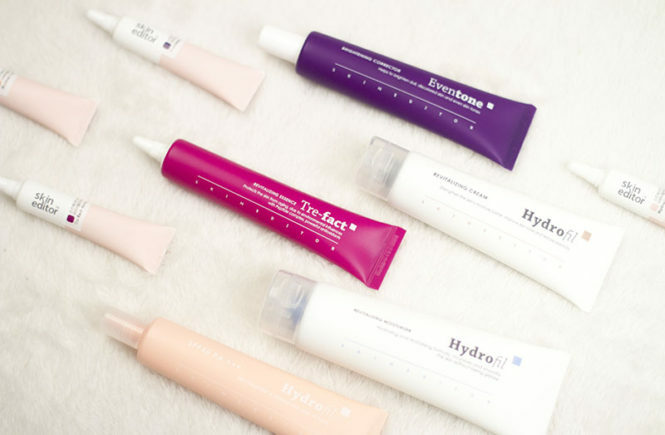 These three are smaller tubes but are more highly concentrated and with specific uses in your skincare routine. 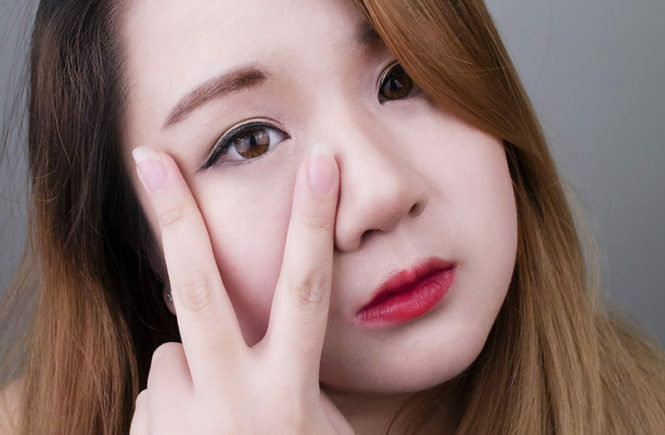 A pea sized amount is generally needed for your entire face – though I definitely squeezed out too much the first time. First off, let’s discuss the most important product for us in Australia – sunscreen. This is the Hydrofil Revitalising sunscreen SPF 50 PA+++ and I love it. In Korea, it is very common for people to use sunscreen every day in order to protect their skin from sun damage. I have to admit that I’m really bad with this. Since my BB cream already has SPF, I tend to skin sunscreen – sometimes even if I’m going to the beach. My problem is that sunscreen is often too thick, clogs my pores and leaves a white cast. I also have sensitive skin that has had an allergic reaction to sunscreen before, so you can see why I avoided using it on my face. In the formulation of this sunscreen there were three specialties taken into consideration: revitalising (as this product is often used after skin treatments), to hydrate and calm the skin without irritation or stickiness and – most importantly to me – that it should not affect make up. I can now officially state that I am using this sunscreen under all of my BB cream. It definitely delivers what it promises – no white cast, no stickiness or oiliness that affects my make up application and my skin has has no adverse effects to their formula. 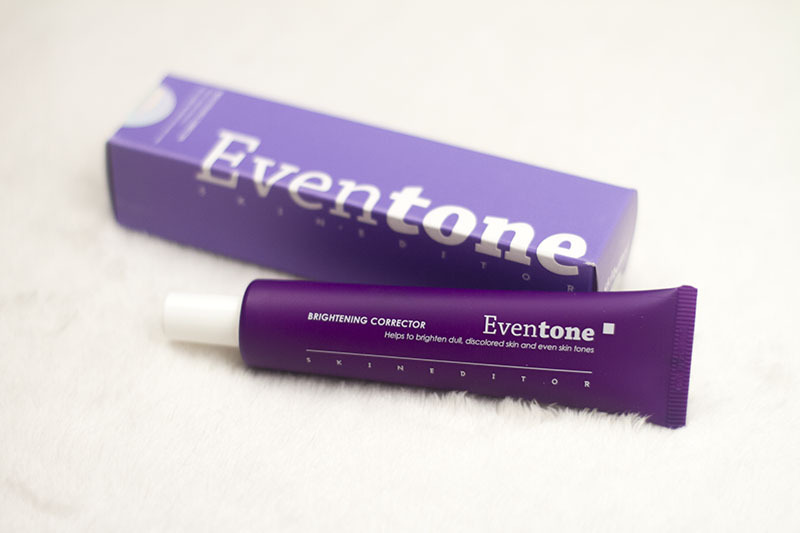 The Eventone Brightening Corrector was designed to treat Erythema and redness, as well as hyperpigmentation. Whitening and brightening products are some that I use the most, though I often avoid them during that day as they have a tendency to make your skin more sensitive to sunlight. Although I don’t have much (if any) hyper pigmentation, it does run in my family so I like to use many of these products preventatively – as well as to even out my uneven skin tone. Although ten days isn’t enough for me to see a remarkable change, I can definitely note that my skin has become brighter and more even. In recent days, I have been able to get away with using much less product on my skin and often even getting away with just my 3CE White Milk cushion. I would definitely recommend using this in conjunction with the other products. Here is the ingredient list below. As you can see, this product has been formulated to be an effective brightening product, while still hydrating and revitalising the skin. The last one here is the Trefact Revitalizing Essence which works to strength the skin barrier and improve balance of skin functionality. This product is usually recommended after CO2 laser, IPL, Burns or intensive treatments. 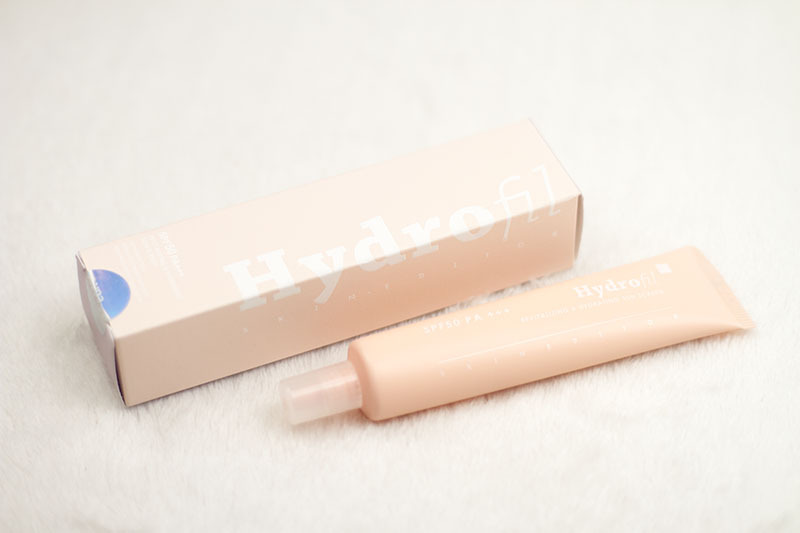 For daily use though, it can be used as an essence twice a day (after cleansing and toner). Personally, I think that essences and serums are the most important part of skin care treatment, though often the most intimidating to approach. I love the simplicity of this revitalizing essence and, as can be seen in the below ingredients, the product is also formulated to target multiple usages. 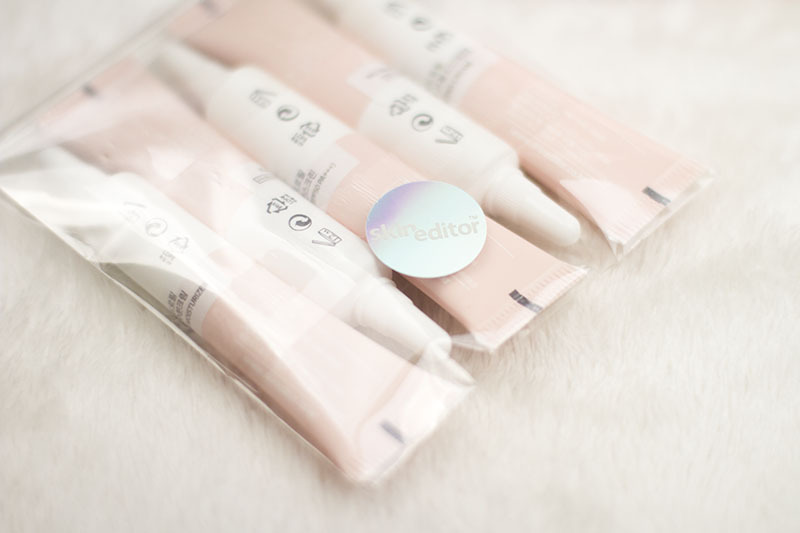 Overall, I think that the Skin Editor products are really great – and not just because they’re darn pretty. They bring a professional experience to home skincare and are best used for problematic skin or in the tougher moments. As I often test new products, it is unlikely that I can continue to use Skin Editor every day (though I wish I could) but I think I will do my best to incorporate them into my existing skincare. My skin during the winter is the worst and, honestly, I think their products have saved me. There is no more flakey skin around my T-zone, my bb creams are applying evenly and my skin can (and will) continue to glow – not turn into a deep fryer. I would recommend these products to people who need specialised skincare, have sensitive or problematic skin and are serious about fixing it. These are not gimmicky, fun products. These work. 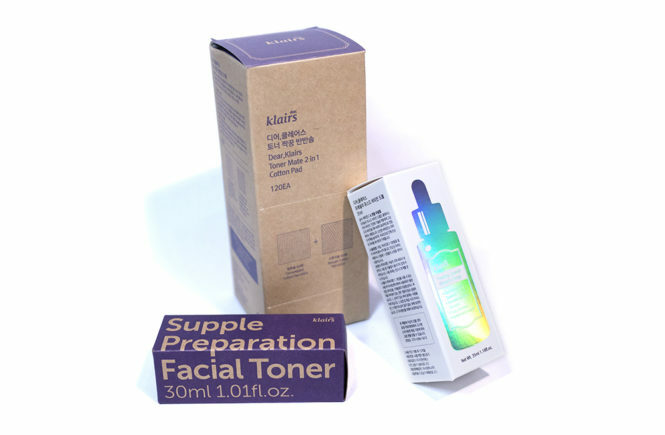 A range of professional, effective skincare products that focus on revitalisation, hydration and brightening. I definitely would. My favourites are definitely their moisturiser and cream, as well as their sunscreen. I would be looking to use their sunscreen all year round and their moisturiser/cream mostly in the Winter (as I usually use more gel based products in summer). I’m excited to see them expand into the foreign market and I hope they become more widely used in the future. If you would like to purchase anything from their range or request sample tubes, go to their website. You can also contact them via email or any of their social networking websites if you have trouble with the Korean website.